Whether you're planning on hitting the sights and seeing some of the greatest wonders of the world, or just enjoying the sun and local atmosphere, it is essential to add 'travel insurance' to the top of your planning list. A great travel insurance policy protects you against things like emergency medical expenses, personal possession loss, theft or damage, and cancellation charges. With every Alpha Travel Insurance policy, you have the opportunity to tailor it to your own individual budget by selecting an excess you would be willing to pay in the event that you have to make a claim - anything from £175 to nothing at all! 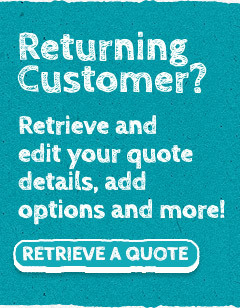 If you would like to get a quick, free and easy quote today, simply select the 'Get a Quote' button to the right hand side of your screen and pick your policy. Alternatively, you can always get in touch with our Customer Service Centre and discuss your cover options.